Allergy, Asthma and Dermatology Associates, P.C. (Portland) - Book Appointment Online! Allergy, Asthma and Dermatology Associates, P.C. ** NEW PATIENTS,PLEASE BE AWARE THERE WILL BE ADDITIONAL FORMS TO FILL-OUT AT THE TIME OF CHECK IN AT THE CLINIC. 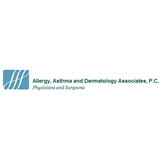 Allergy, Asthma, and Dermatology Associates, P.C. (AADA) is a unique and highly regarded medical practice specializing in the fields of Allergy, Asthma, Dermatology, and Clinical Immunology. Our physicians and staff have been providing health services to patients in the Pacific Northwest since 1975. We are proud to serve as one of the largest specialty providers in Oregon. Dr. Price is wonderful. She's the first doctor to find a cause for the chronic health issues I've suffered from for most of my life. I always feel heard by her and her staff. Dr. Cowell had a great bedside manner as did her nurse and the rest of the staff.